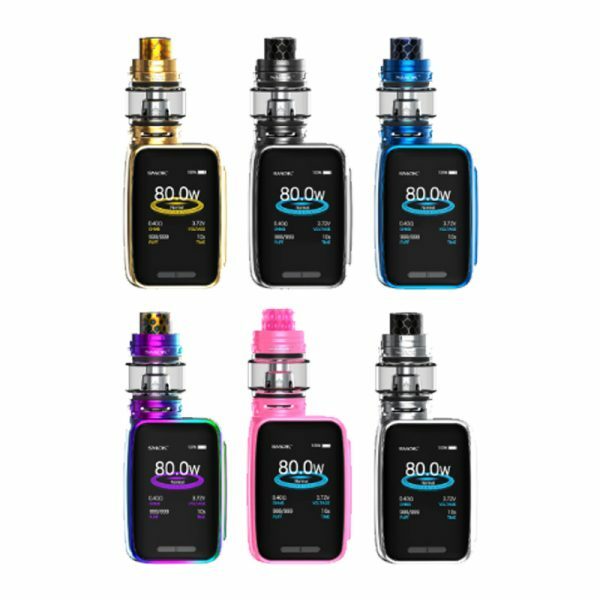 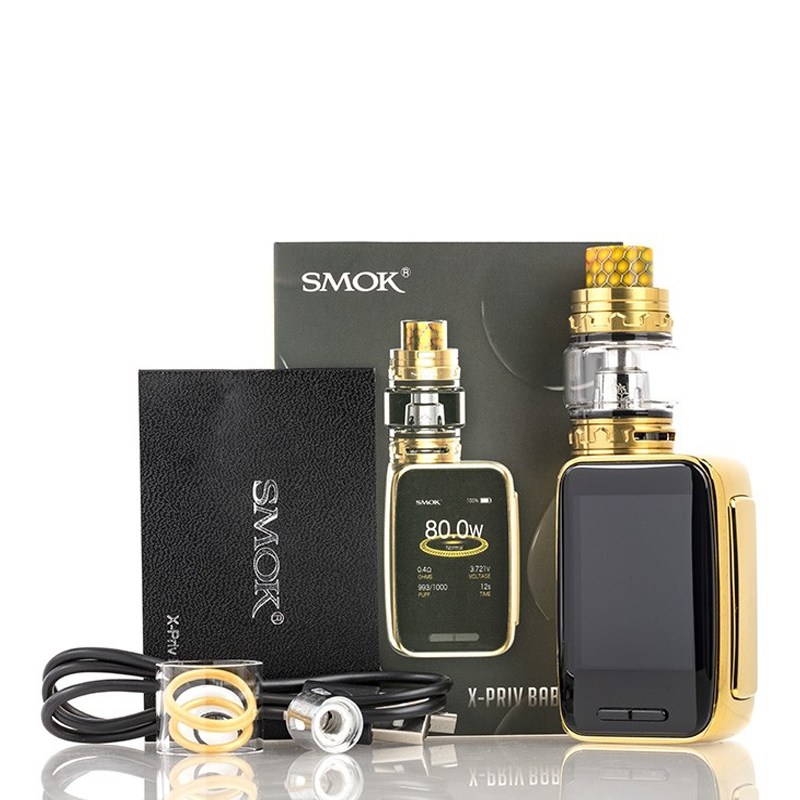 SMOK X-PRIV Baby 80W Starter Kit (UK Edition) is the follow-up edition of the appraised X-PRIV, implementing a compact-sized device with the high-quality impression of the original to pair with the TFV12 Baby Prince Tank. 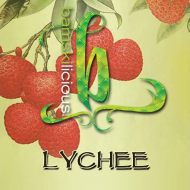 Maintaining the crowning achievements of utilising a large screen display, measuring an impressive 2.0 Inch High-Definition screen with full-colour resolution. 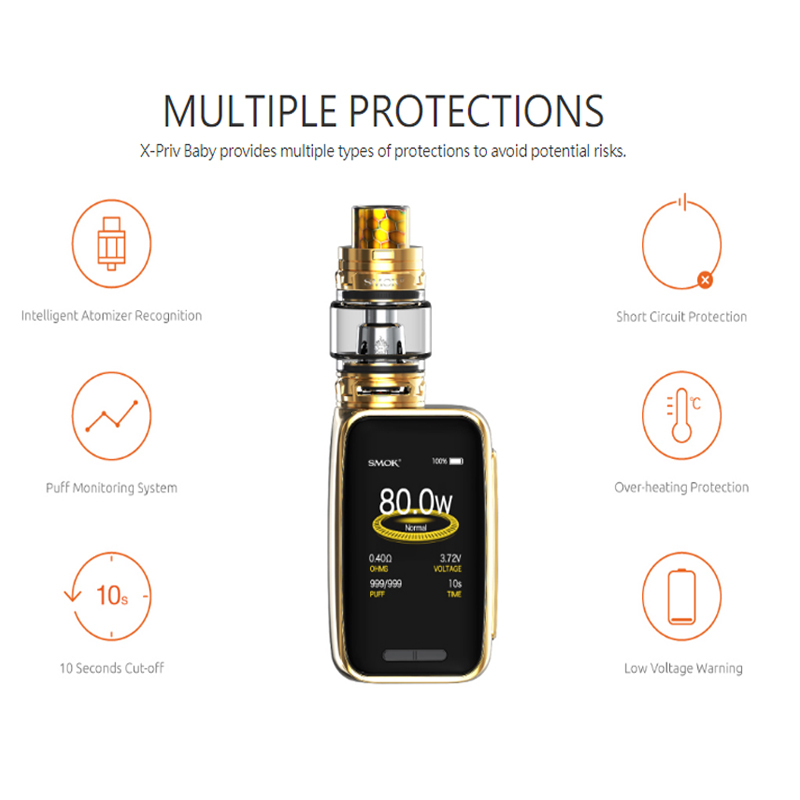 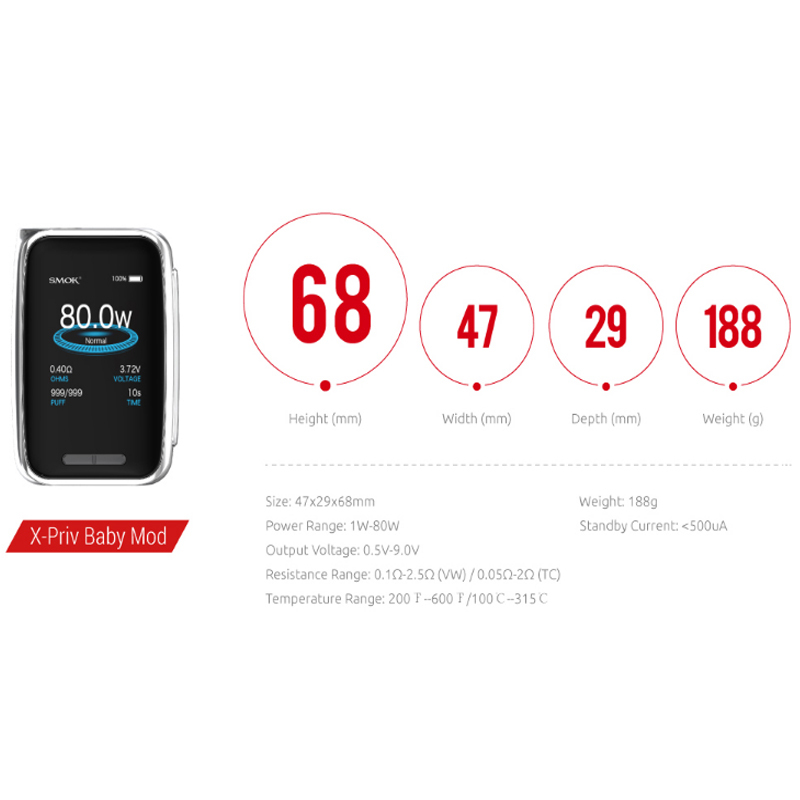 The X-PRIV Baby is equipped with a 2300mAh built-in battery, capable of firing up to 80W of maximum power and full temperature suite. 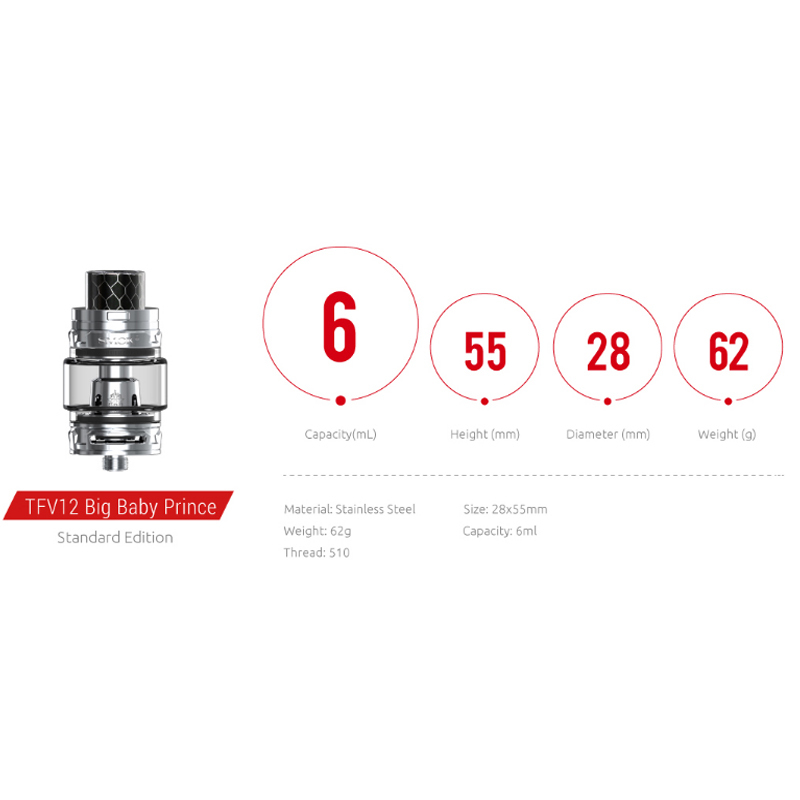 Pairing with the device is the TFV12 Baby Prince Tank, implementing a TPD compliant maximum capacity of 2ml, new button-lock hinged top-fill, smooth dual bottom airflow control, and the utilisation of the TFV8 Baby Coil System. 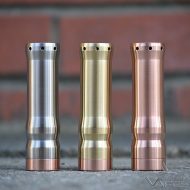 Accessories: Full range of V8 Baby coils range. 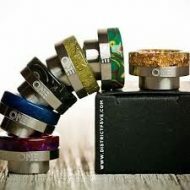 See the “Accessories” tab above. 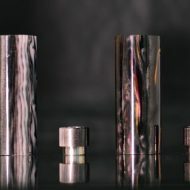 5 x Replacement Coil Heads for the Smok Baby Beast Tank.